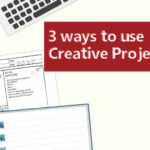 How to use Creative Project Canvas? Do you remember Max? We introduced him in our first post. 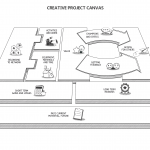 Max has already downloaded the Creative Project Canvas and the Work Play Book, he has accomplished the Idea Design Process and now he is ready to use Creative Project Canvas. 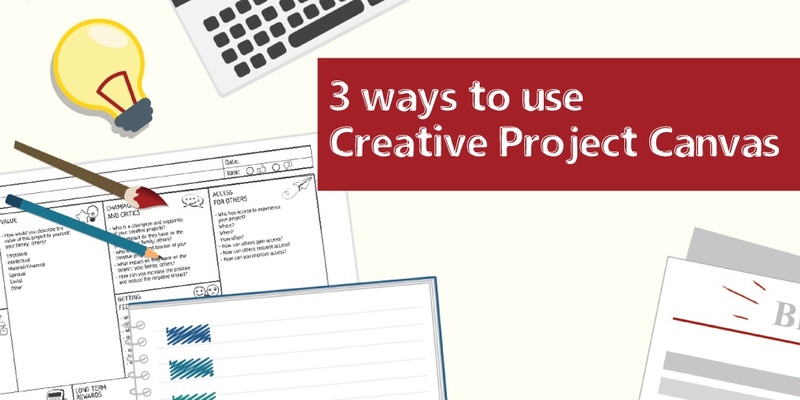 So we suggest three ways how to use Creative Project Canvas and not to get lost. Do you have a clear and detailed idea of your project? It is easier to start from the section where you have more information and then fill up the block where you feel more confident. 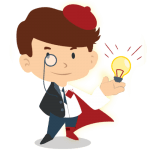 Max has the most information about the value of project, so he can start filling the Creative Project Canvas from “Value” section. Then he can continue with “Access for others” and follow other arrows to fill all the blocks. In this way you can start from your creative practice, think in detail how to develop it and reflect on the impact. 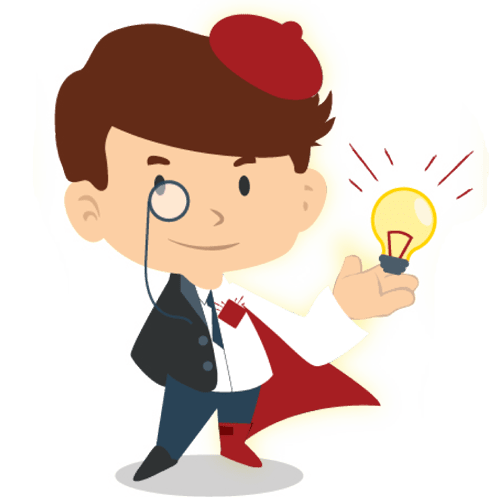 Also, Max can start from the “Activities and Work” to define what kind of activities he and others have to do, who will do that and what impact that will have on the project. But he has to be aware that some blocks are mutually connected to each other, in this case it will be easier for him to compare the information in the boxes and check mismatches. These four blocks will help you to divide information in blocks to understand the general meaning of each box and about what you should think while filling the box. 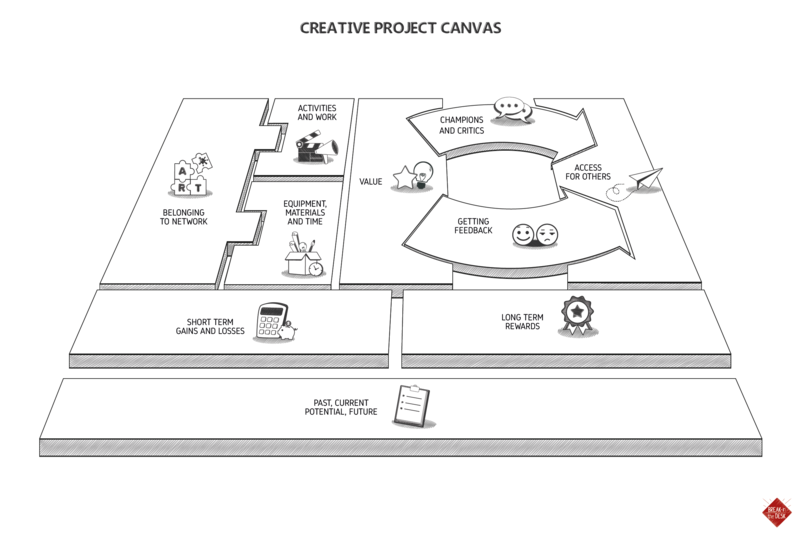 If you need more information how to use Creative Project Canvas or to see graphic explanations, download Work Play Book in here. Now it‘s the time to choose which way of using Creative Project Canvas is the best for you and you can start to work with it!